What a long story we have to tell, and how little time we have to tell it! But, what is a story without its beginning? And here, kind reader, we have that beginning. 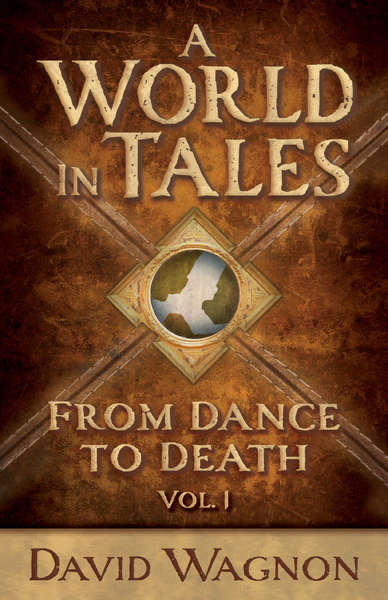 Our telling of From Dance to Death will be in two volumes. This first volume covers what I and my brothers believe to be the brightest of tales our world has to offer. They span time and place, but they all end on some gleeful note. I am the first to share, and my tale concerns the Prince Reginald. He was a boy living in a cold time, when magic made weapons out of song and rhyme. My youngest brother, Justin, has a much more modern story. He speaks of a man determined to have a great day, though a case of the flu may get in his way. Herald, my other brother, tells of John, a little boy whose life would align with old destiny. Together, we shall weave the history of this world; yet only I know our story’s end.